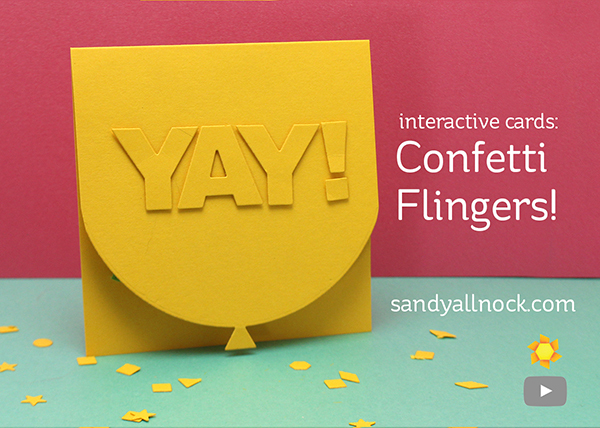 R2C Day 3: Interactive cards: Confetti Flingers! 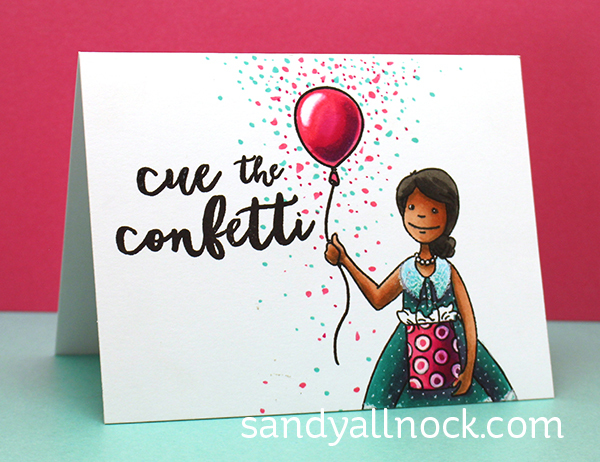 I’m kinda partial to interactive cards – and this one throws confetti at someone opening your card! How cool is THAT! I made a few cards with flingers -but only show the step by step for this cute yellow one. Watch the video below or click HERE to see it in HD on YouTube. I created another card with a more standard stamped and colored image – my 10+ patrons get to see the coloring on this one. but you can watch it fling in the video: And here’s a great card for New Years! I don’t really send out NY cards, but this can also be great for any celebration. And since it has red white and yellow confetti on a green card? It could also be for Christmas! 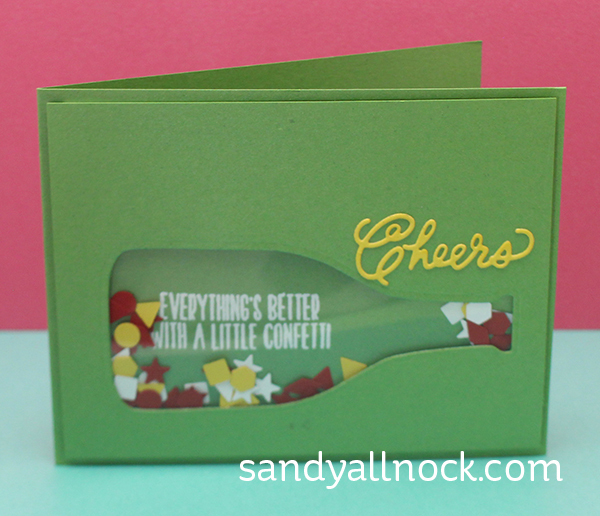 Since today I’m sharing “party card” ideas – how about Make a Wish Foundation for the charity! They do so much to make a child’s wish come true….and they can use our help! Try giving a little out of your Christmas budget to make a child’s face light up…you won’t be sorry. (hey make a card and tell your recipient you made the donation in their name. That way you get to check off your list AND feel good about it!) They also have the COOLEST url: wish.org ! And one more thing…there’s a sweet little video of theirs that may have 10k views…but only 44 likes!! Wha???? Go over to YT and give Noah a huge thumbs up – let’s see how high we can get that number. If we hit 500 likes, I’ll donate ANOTHER $100 to the foundation! Click on the video over >>>>>>>>HERE<<<<<< to hit like. Then SHARE it on your Facebook wall and ask your friends to give him a like, too!